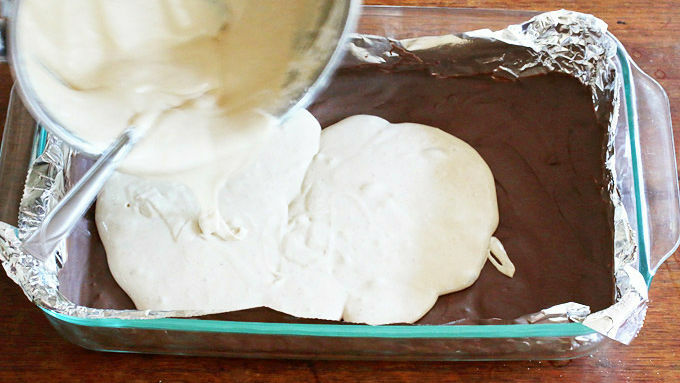 Line a 9x13-inch baking dish with tinfoil. Melt about 1/2 cup worth of the chocolate in the microwave for 60-90 seconds. 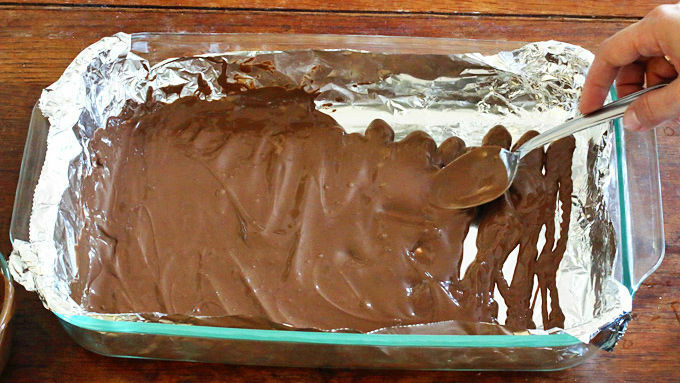 Spread chocolate onto the bottom of the baking dish, on the foil and slightly up the sides. Place the dish in the refrigerator to cool while preparing the nougat. For the nougat, place the sugar, butter and evaporated milk in a medium saucepan over medium-high heat and bring to a boil. Once it starts boiling, boil it for 4 minutes, stirring constantly. 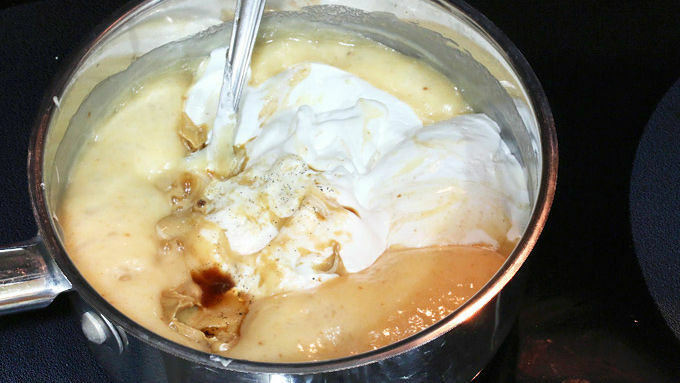 Remove the pan from the heat and immediately add the marshmallow creme, peanut butter and vanilla extract. Stir until smooth. Pour the nougat mixture into the baking dish on top of the thin layer of chocolate (which will by this time be set) and evenly spread it out. 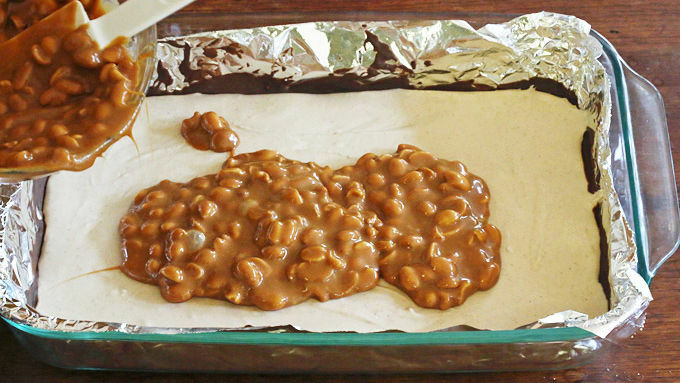 Place the dish in the refrigerator to cool while preparing the caramel. 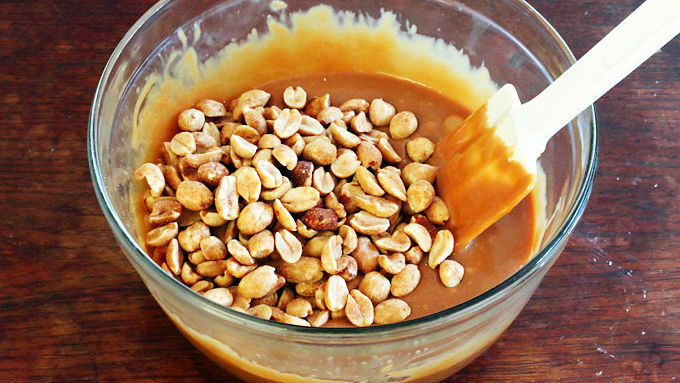 For the caramel/peanut layer, add 2-3 tablespoons of water to the caramel candies in a large mixing bowl and microwave in 30-second spurts, stirring each time, until completely melted. Stir in the peanuts and make sure they're thoroughly coated. 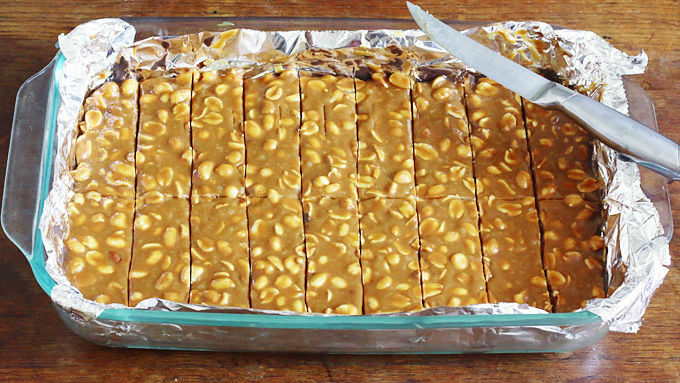 Pour the caramel peanut mixture over the nougat and spread it out evenly. Refrigerate until cooled. Cut into candy bar-size pieces (cut down the center horizontally and then in approximately 1-inch pieces vertically). It's best to refrigerate the cut squares for a while first so they're firm before dipping them into the hot melted chocolate. Melt the remaining chocolate in a medium-sized bowl in 60-90 second intervals until completely melted. Use a fork or similar utensil to pick up the candy bars and dip them in the chocolate. Submerge the candy bars completely and hold them briefly over the bowl to let some of the excess chocolate drip off, then place them on wax or parchment paper to set. Homemade Snickers bars are easy to make right at home ... maybe a little too easy!Making these was a bad idea. Bad. I had just had a perfect week of dieting – 100% strict – to shed a couple of pounds I gained recently through some naughty indulgences. And then came the Copycat Snickers Bars, inspired by Oh Nuts' Homemade Candy Bars recipe. 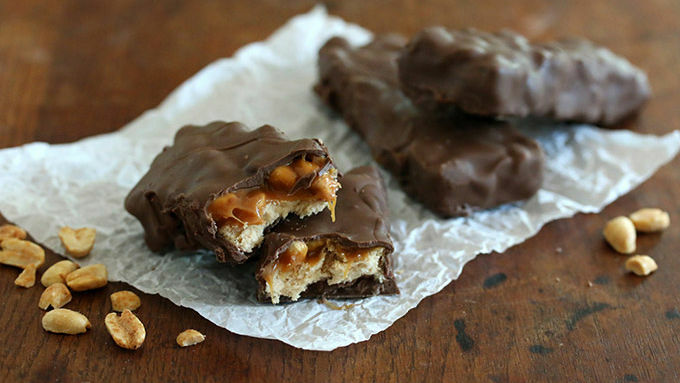 [INSERT LINK: http://www.ohnuts.com/blog/how-to-make-homemade-candy-bars-resolution-breaker/] I knew from the moment I started melting the silky chocolate and stirring the salty peanuts into the gooey sweet caramel that I was in trouble. While making these I was simultaneously drooling and wincing. Know the feeling? What was I supposed to do with EIGHTEEN. UNWRAPPED. SNICKER BARS. Staring me right in the face? Just how is a poor, chocolate-caramel-and-peanut-loving girl supposed to defend herself against that? Let's just say there are no longer eighteen left. *Ahem* Um, yeah. And I had to ask my husband to take them, to hide them overnight, and take them – all of them – with him to work tomorrow so they wouldn't be around here tempting me. *SIGH* Back to my diet. Which I now have to add an extra week onto. But I guess I should say something more specific about these Copycat Snickers Bars. They're incredibly easy to make. Trust me. 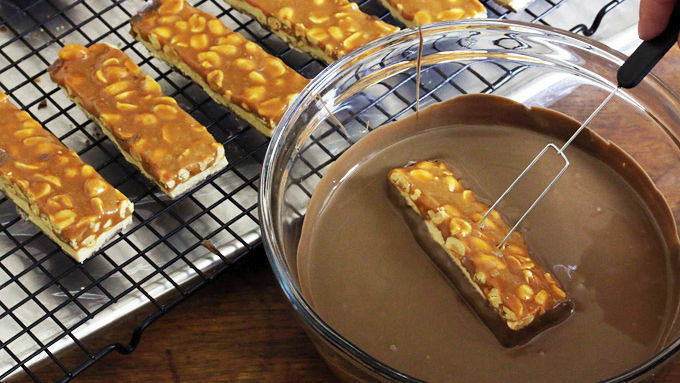 It may not look like it, but making your favorite candy bar is easier than you think. And you don't have to make it all at once either. You can make a layer here, let it sit, then make the next layer, let it sit, etc. SO EASY. Let's get to it! Heaven awaits. (Or is it hell?) Eighteen luscious homemade Copycat Snickers Bars for your devouring pleasure!